This image released by the FBI shows a missing person poster for Hania Aguilar. 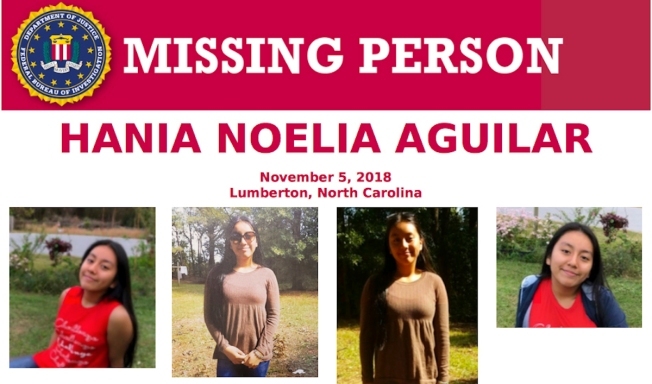 Aguilar was kidnapped Nov. 5, 2018, from a Robeson County, N.C., mobile home park after going outside to start a relative's SUV before school. A body found in North Carolina has been preliminarily identified as a 13-year-old girl kidnapped outside her home, investigators said Wednesday, bringing a sad conclusion to a three-week search involving hundreds of investigators. The chief said Hania's body was found in a body of water in Robeson County about 10 miles (16 kilometers) south of the mobile home park where she was kidnapped on Nov. 5 after going outside to start a relative's SUV before school. McNeill has previously said that a witness saw a man dressed in black with a yellow bandanna grab Hania in the Rosewood Mobile Home Park in Lumberton. Police say the eighth grader had taken her aunt's keys to start the vehicle to prepare to leave for the bus stop. 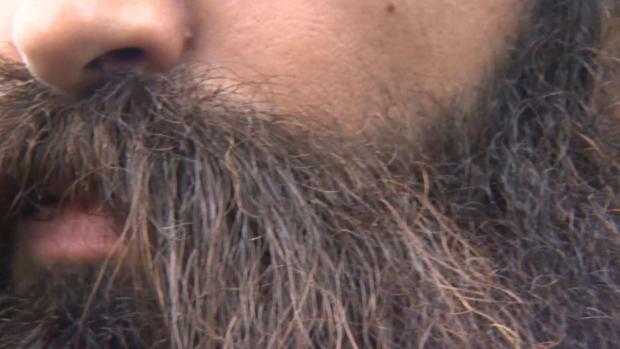 They say the man forced her into the green Ford Expedition and drove off. Drones, dogs and scores of searchers on foot spent the following weeks combing the county about 100 miles (161 km) south of Raleigh.